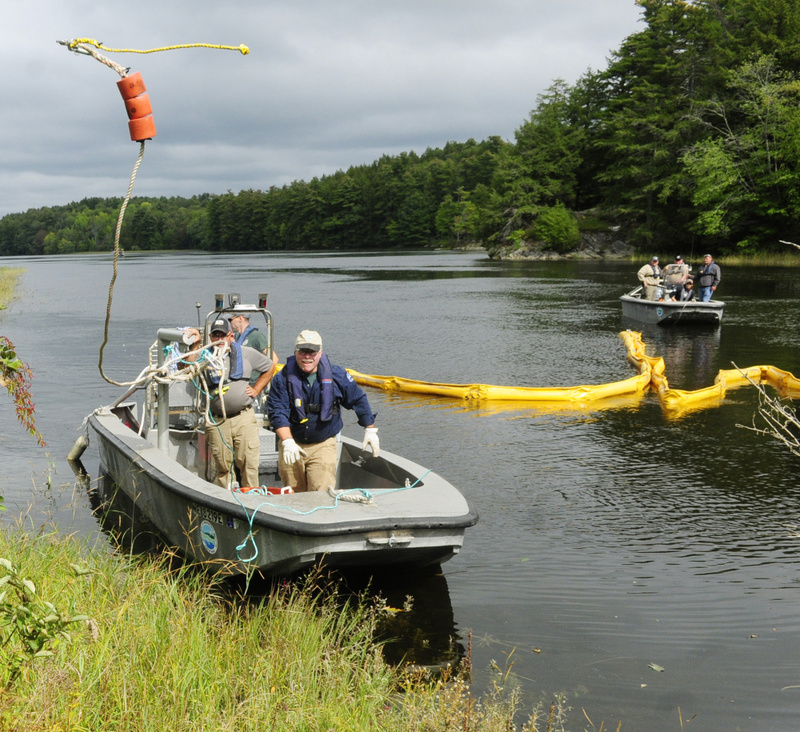 The exercises on the Kennebec River will continue later this week in Hallowell as the department works to sharpen its skills involving removal of waterborne pollution. 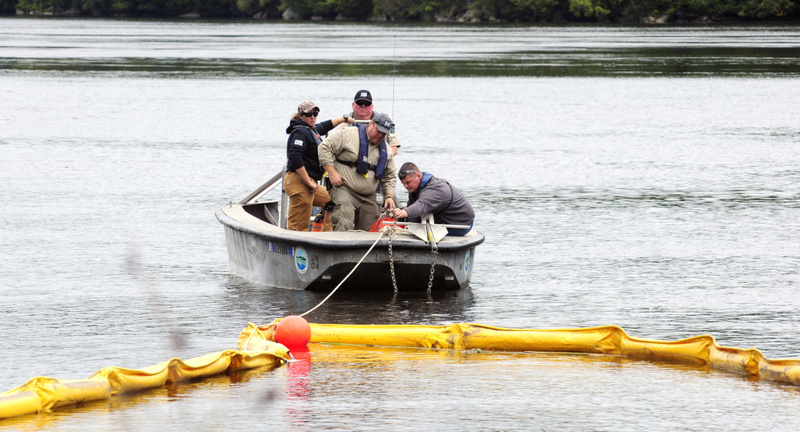 RICHMOND — There was no oil spill Tuesday afternoon on the Kennebec River, but for several hours, members of the state’s hazardous materials cleanup teams pretended otherwise. Off the eastern shore of Swan Island, they used boats and anchors to stretch yellow barriers across the river, trying to protect sensitive shellfish habitats from the imaginary oil slick floating on the surface. But the currents were real as the responders adjusted the yellow barriers, known as containment booms. 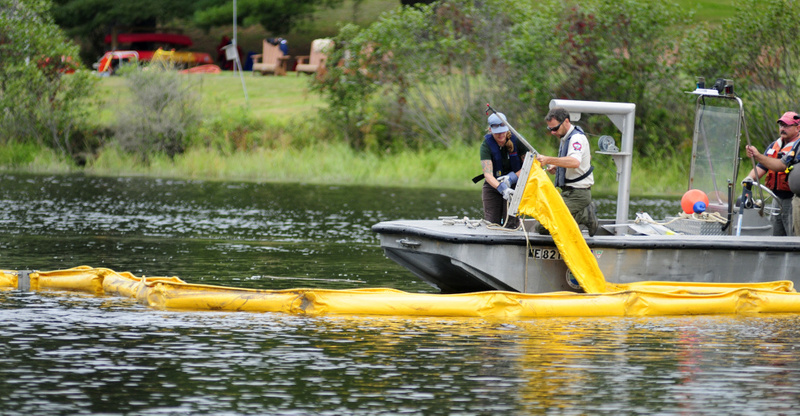 And their work had to be precise, because in a real spill, the right mix of wind and other elements easily could splash a pollutant over the sides of the booms if they were not placed properly, said Jeff Squire, director of response services in the Maine Department of Environmental Protection. Squire oversees four teams of people, spread across the state, who are called whenever oil and chemicals are spilled because of traffic accidents and other incidents. Besides trying to collect the materials that have spilled, they also investigate what might have caused the spill, Squire said. While the teams commonly respond to spills involving petroleum products such as gasoline and home heating oil, they also help dispose of more obscure materials. 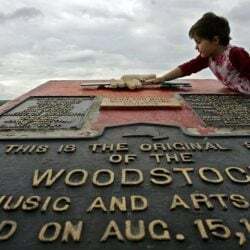 For example, Squire described one recent response in which old containers of cyanide were found in the Rome property that the Travis Mills Foundation has converted to a retreat for wounded veterans. The cyanide was part of a pest control product, Squire said, but it is also poisonous to people. 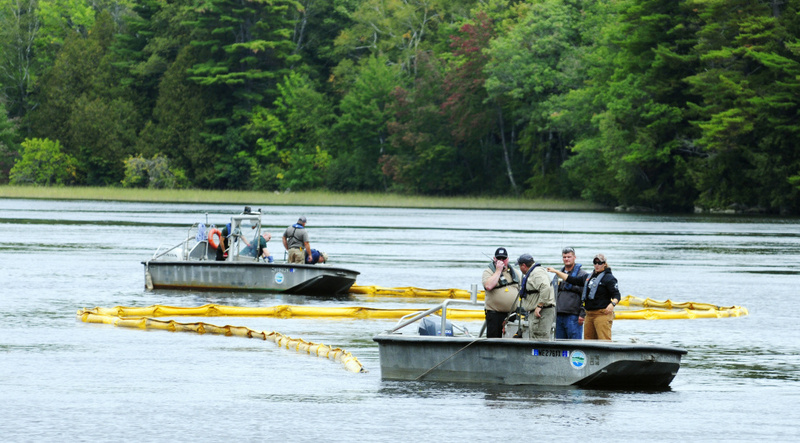 Half of the state’s hazardous materials response workers will be on the Kennebec River all this week, practicing their marine response skills as part of an annual in-service training. 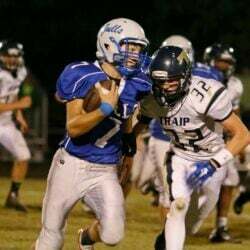 Next week, the other half will participate in the same training. On Monday, they donned waterproof survival suits and practiced cold water rescue work. On Thursday, they’ll be holding a drill in Hallowell. They chose to do the training on this section of the Kennebec River because it’s centrally located and includes difficult currents, Squire said. 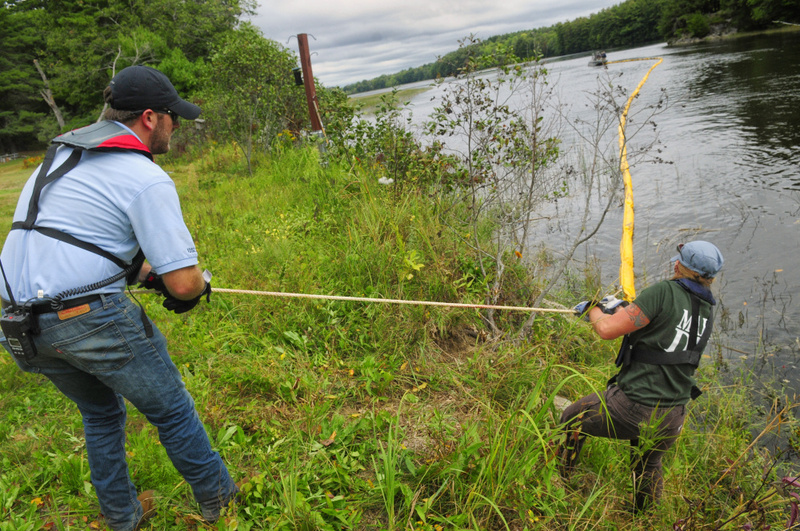 They have been using a classroom space on Swan Island, a wildlife preservation area operated by the Maine Department of Inland Fisheries & Wildlife. Last year, Squire said, the division held its training at a potato refrigeration facility operated by McCain Foods in Presque Isle, to give workers experience in a different type of setting where they might have to clean up hazardous materials. One of the Maine DEP workers on Swan Island this week, Tiffany LaClair, recently returned from a weeklong oil-spill training course Corpus Christi, Texas, where they used peat moss to simulate the way oil will float in water. 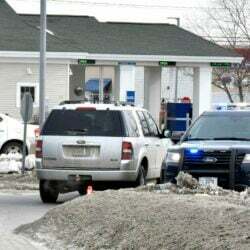 LaClair has worked for the state’s response division for just six months, after working in another part of the Maine DEP for about three years, she said. She used to clean waterways while working as a park ranger in Massachusetts, she said, and she welcomed the opportunity to do similar work in Maine. During one of the exercises Tuesday afternoon, she lay an anchor on Swan Island that would hold one end of a containment boom getting stretched across the river. The exercises were useful, she said, because they helped show “what can go wrong” in any response, whether it’s a misplaced boom or mechanical failure on a watercraft.